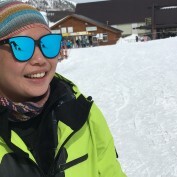 Hi, I am Lorraine, a passionate snowboarding and skiing instructor based in Hong Kong. She spent most of my winters in ski resorts in Japan, Canada, Europe, and China. Currently, I am running 2 small blogs called "SnowboardHow" and "Hong Kong Goodies".